A runaway daughter, seeking escape from abusive hands. A journeyman tanner willing to risk safety to aid her. When Jarek steps into the alley to toss out the trash, he finds Erron and can't look away. Even when her father roughly jostles her out of sight, claiming she'd made a wrong turn. He should leave well enough alone, but those desperate eyes haunt him. And he's never been one to turn his back on someone in trouble, especially the most beautiful lass he's ever seen. He just never imagined it'd be his life in jeopardy, and his heart that needs saving. I've listened to all the other books in this series, and have really enjoyed the whole series! The narrator does a really great job, and I love her accent for the story. This book didn't quite connect with me as much as the others in the series, so I marked it a bit lower than the others, but the writing is still on point and as I said earlier, the narration is great. Erron's father is absolutely horrible to her. Think of the worst thing a father can do to a daughter, and that's what he does to Erron. She tries to escape, but she does it half heartedly in my opinion. She ends up meeting Jarek, but it's short lived when she's taken back home by her father. Jarek and Erron feel instant connections with each other. Jarek sees something isn't right between Erron and her father, but doesn't step in in time. I was disappointed that Erron seemed resigned to her situation, and wasn't doing more to escape. Also, when the opportunity arises to be helped she doesn't take it, Erron lacked strength in this situation, and allows Jarek to enter into a situation that he doesn't fully understand. Jarek and Erron barely even talk before they profess their love for each other; Erron is especially quiet, so I would've liked to see more of why these two connected. It is a sweet romance though, and Jarek is a sweetheart. Overall, it's a good story, and is interesting. 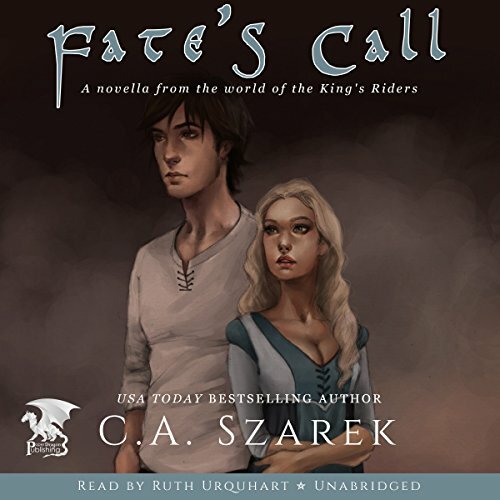 CA Czarek has written such a sweet love story with fantastic characters beautifully told by Ruth Urquhart. Definitely worth a listen!